Tokyo Game Show 2018 attendees were treated with a special appearance from Hideo Kojima and a nugget of Death Stranding news. TGS 2018 is officially over, but Hideo Kojima didn't want to leave his adoring fans empty-handed. 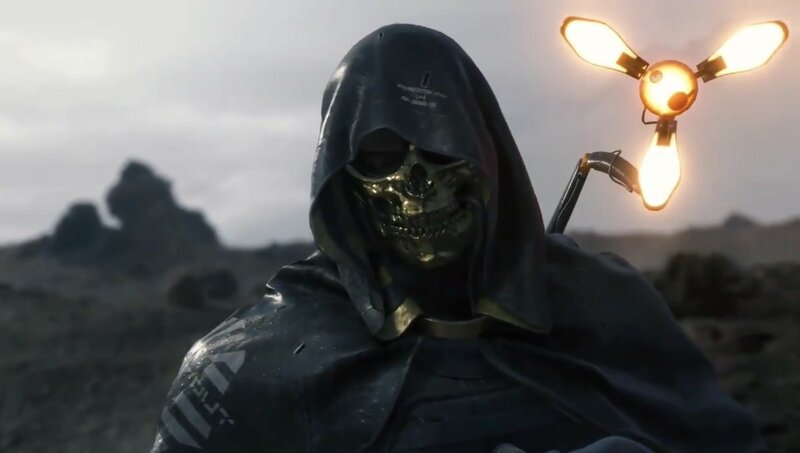 Kojima Productions shared some exciting news today that voice actor Troy Baker will be in Death Stranding playing the role of the man in the golden mask. In the video posted to social media, Baker's character takes his golden mask off and summons some kind of massive beast for Norman Reedus' character to defeat. Please take a look. Today's reveal is just one more nugget of information about Death Stranding. The game has no release date, and no one is really sure what the core gameplay mechanics will be, but Troy Baker is an industry veteran having worked with Kojima as the voice of Ocelot in Metal Gear Solid 5. Today's news from TGS 2018 is very exciting for fans of Kojima. We can only hope that more details will continue to emerge as Death Stranding's release date eventually materializes. Be sure to follow the official Kojima Productions English Twitter account for more updates from this highly-anticipated game. How much acid do you suppose Kojima took when coming up with this game? I suspect all the acid.